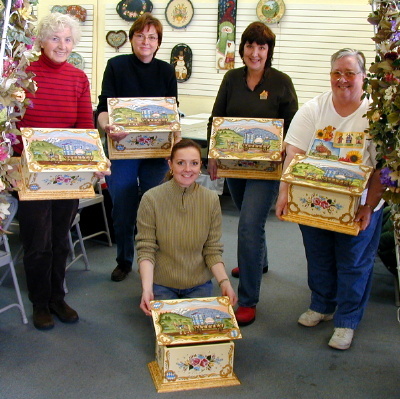 A group of five wonderful ladies really hung in there for three days of painting fun! Everyone was able to relax and enjoy painting together and actually finish this big project even with a snow delay in the beginning. A big thank you to Peggy, Mickey, Pat, Marion and Shirley for attending the seminar even with the threat of bad weather. 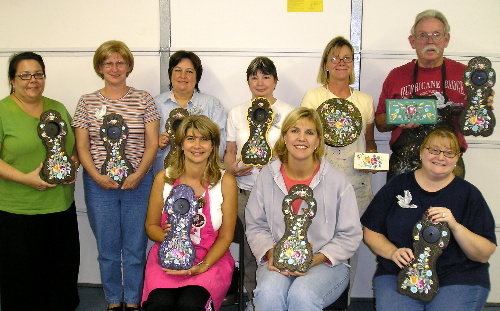 You gals are great and beautiful painters too! 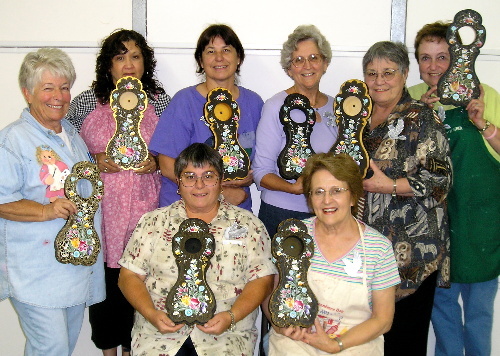 The Brevard Brush Stroke ladies were a fun group of lovely and fast painters! 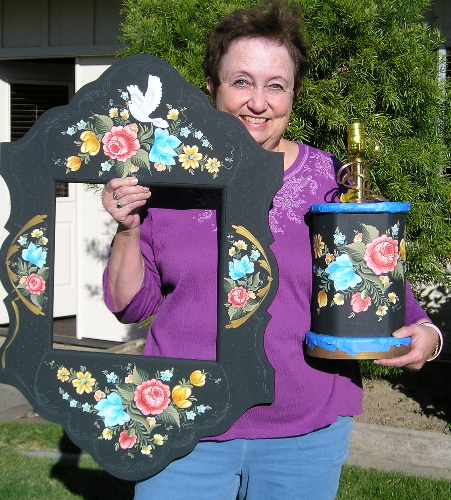 Almost everyone finished their projects and Alise even arrived the second day with hers already antiqued and varnished! 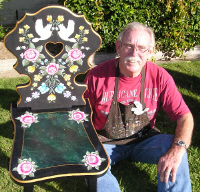 It was great seeing old friends again, especially Judi Arntz who was in one of my very first painting classes in 1979! Also, it was wonderful staying with Marion Huggins again after many years. 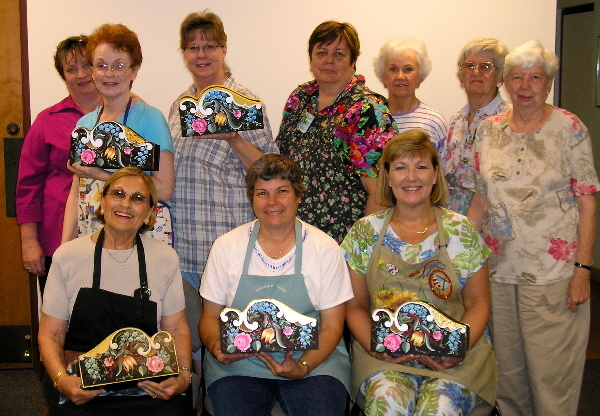 Thank you, Brevard ladies, for being a great group! This was another seminar for the wonderful California painters at the Craft Palace! 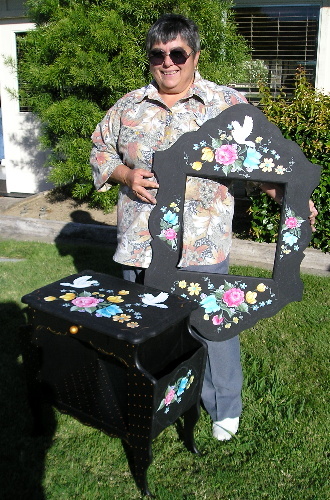 They all did a beautiful job on the Black Forest large mirror frame which was lots of work. And some folks painted more than one project at the same time! We also painted an Austrian design on a double scalloped clock and everyone went home with their clocks almost finished. Great job and a big THANKS to all who came to the seminar! 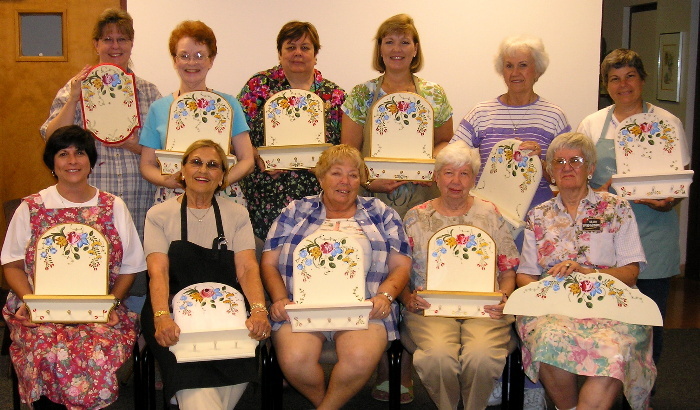 The Del-Val Decorative Painters were a fun group of ladies who all painted lovely heart stools for a one-day project. It was great to see the different trim colors and almost everyone went home with their stool finished. It was also delightful to meet Roxanne Jarvis, aka the Tolefairie, and be escorted around by her and her cohorts in fun, Chris White and Janet Margraf. Thank you all for a lovely seminar day!